177 cm / 5 ft 8"
Ashley Graham was born in 1987 in Nebraska, U.S. The big body model is featured in magazines, fashion shoots and many tv programs. Ashley Graham’s housband Justin Ervin is the director of photography. 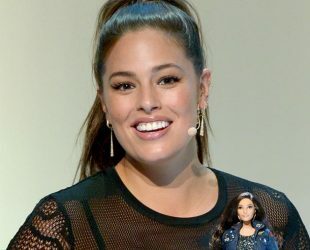 In 2016, the world famous Barbie doll produced Ashley Graham’s doll. Ashley Graham continues her life in New York with her family. She graduated from Scott Middle School in 2002, and from Lincoln Southwest High School in Nebraska, Lincoln, in 2005. 42-30-46 in / 107-76-117 cm.